Peter Broderick » Blog Archive » what happened to the piano? what happened to the piano? if you live in oslo, come down to blå tonight . 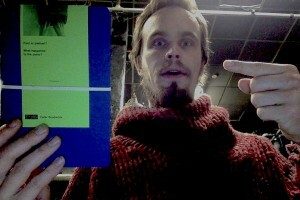 . . the lovely norwegian publishing house flamme forlag has printed a small chapbook of poems and stories that i wrote. my first official book! this afternoon and evening there will be a small festival taking place at blå, consisting mostly of different folks reading. i will play some songs on guitar and banjo, and also read a few excerpts from my new little book. the book will be available to order from the flamme forlag website sometime later this month or in january . 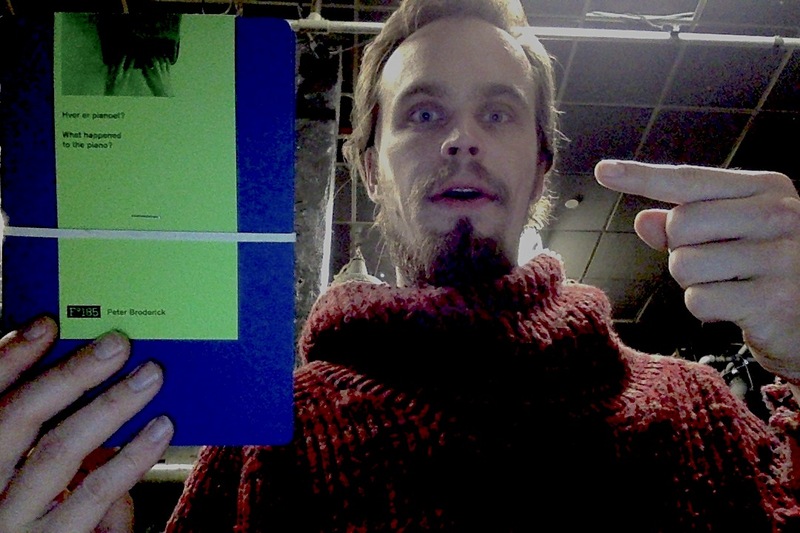 . . but tonight you can get a copy if you happen to live in oslo. nnnnniiiiice! This entry was posted on Saturday, December 7th, 2013 at 1:20 pm	and is filed under News. You can follow any responses to this entry through the RSS 2.0 feed. You can leave a response, or trackback from your own site. woow! people in oslo! you guys are sooo lucky!! go see peter and get the lovely little book!! last friday i went to the show of nils in kyoto! stay warm and have fun tonight! AH YESS!!! NOW I’M JUST DYING TO KNOW WHAT COULD HAVE POSSIBLY HAPPENED TO THE PIANO!!!!!! Wow! How cool Peter! I’m looking forward to ordering this when it’s available. Wish I could have heard the reading. Hope you’re well and keeping warm yourself.